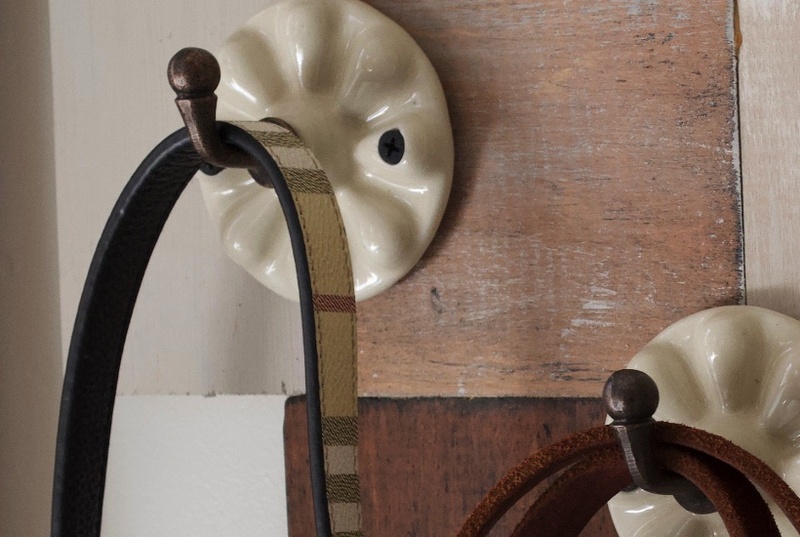 Some decorative wall hooks we can easily make, but then there are those others that are easier to buy. 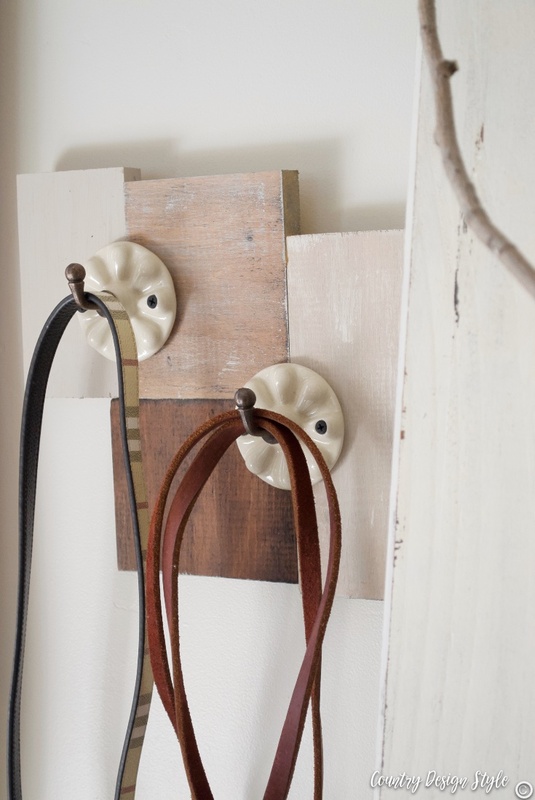 Wall hooks can be as simple as nails in a board. They get the job done and with a little thought look great too. Wall hooks can be complicated too! With little rooftops and twisty hooks. Then there are the ones you buy. This collection of hooks I found scrolling online. To see more details click the images. 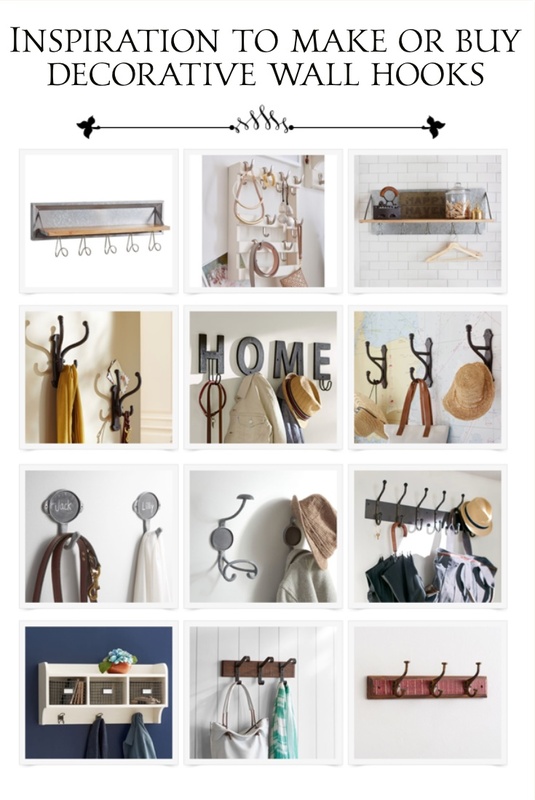 Below is my collection of decorative wall hooks to make. Well, decorative might be a stretch! 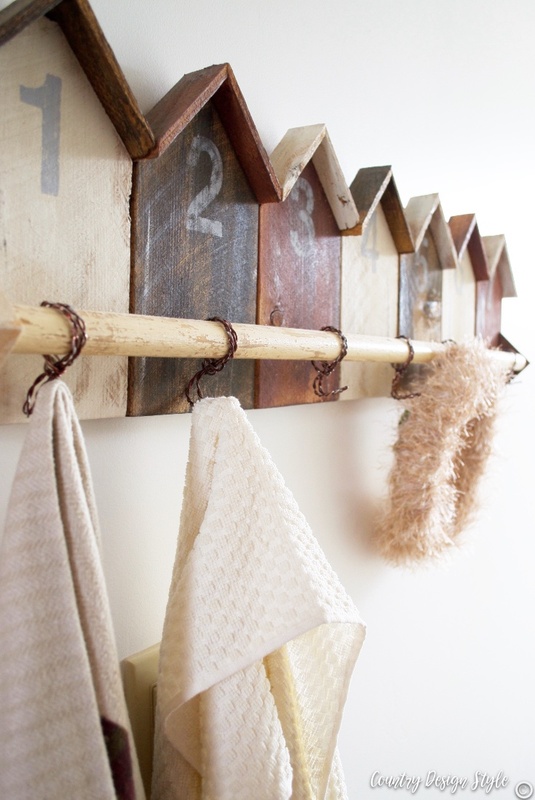 Nails for hooks using antique nails found at antique stores and a board found in the garage. Nails on a board! Leftovers for wall hooks perfect for leashes. Here’s a collection of beautiful knobs to use as hooks. These cabin hooks are my favorite. Those little cabins put a smile on my face every time I walk upstairs. If making hooks isn’t your thing, click on any hook above to view more details. Hi Jeanette, I love hooks! I either buy old screw-in hooks or new at the hardware store, then rough them up to look used. I look for pieces of old molding and make coat hooks to sell in my antique mall booth. If the molding is really chippy, I seal with flat varnish, several coats sometimes to keep paint from anymore chipping. Drill holes on each end to screwing to the wall. I also have made mirrors out of old windows and screwed hooks on one side or along the bottom of the window. I spray Looking Glass mirror paint on the back side of the window. Hey, Kathi, we must be DIY sisters! I did the same for several years on the central coast of California! So much creativity! Do you have a website as well? Jeanette, what great ideas for hooks! 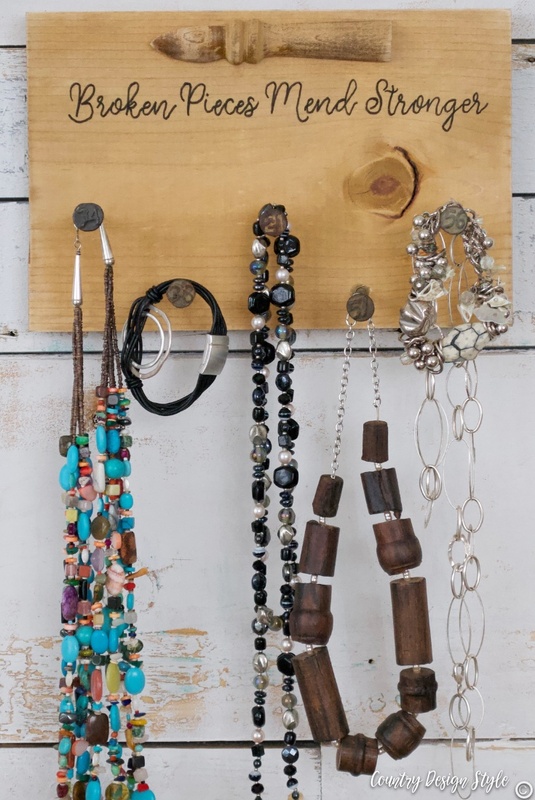 The cabin hooks are still my favorite too, but the shelf with hooks are great since they serve more than one purpose, perfect for small spaces! Those HOME hooks are something I’ve never seen before. I have a crate full of wooden letters I’ve collected over the years, so I think I’m going to give letter hooks a try.